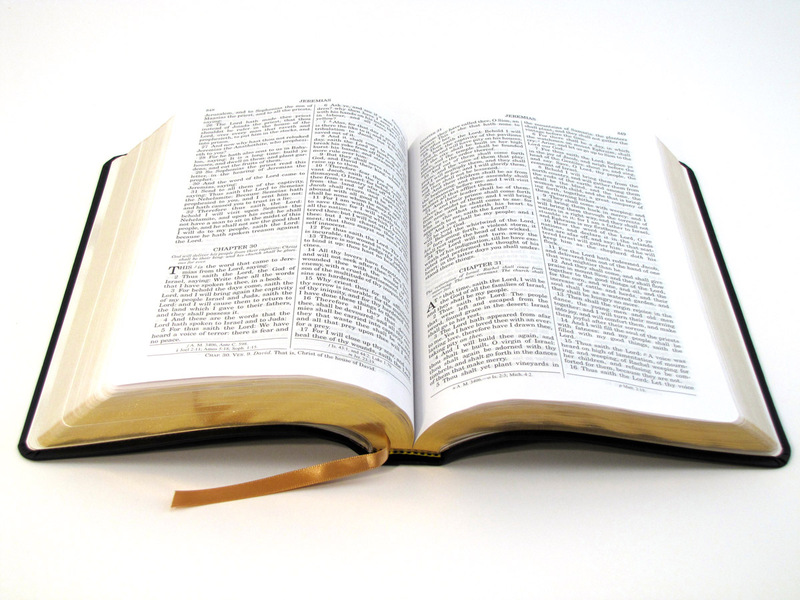 Have you ever wondered how sure you can be the Bible in your hand is truly what it says it is? Have you ever been challenged by someone's accusation insisting it is only a book contrived by men? Have you ever wondered about the so called other holy books held by the other religions of the world. People of other religions are just as sure of their writings and prophets, some more so, as we are the Canons we hold. Many are willing to give their lives before denying their faith, some willing to kill to promote it. Have you ever pondered on these things, questioned the validity of your own faith? If not, I would suggest you do. If we truly take our faith seriously, it is necessary we understand what we believe and why. We need to know it is the truth, to believe a lie is to follow a path to destruction. We must also consider how this effects others. Those who challenge us, who insist the Scriptures are only the writings of men need answers. To leave them with that assumption and produce no confidence or knowledge on our part to the contrary is a dereliction of our duty to defend the faith. We must also consider the effects this will have on our children. If we are to lead our children in the Christian faith, must we not know its truth? Our Children must be prepared for persecution and live a life willing to suffer great loss as a result of their faith. Do they not deserve to see this confidence and diffusion of knowledge in our lives? With these things in mind I want to consider in this post the Scripture above from 2 Timothy 3:16. In the first half Paul gives us its source using the word "theopneustos" which is translated from the Greek into English as "inspiration of God". Some later translations such as the NIV and the ESV have chosen to use "God breathed" as a translation. This is derived from the word "Theos" meaning God and "Pneo" meaning to breath. Thus, "theopneutos" God breathed. But what does this mean? Which rendering is the most accurate? 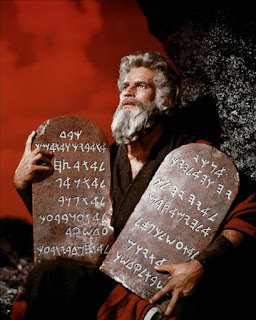 For centuries the translators chose "inspiration", only in the last 40 years are so have some decided on "God breathed". This has led many to pick up on this language and use it in conversation. It is a difficult word to define as it is used only once in Scripture, that being in the verse before us. And it is very rare in any other Greek literature. So it is hard for us to know why Paul under the influence of the Holy Spirit chose to use this particular word before others he could have chosen. Being one myself who does not accept change quickly, I suspect I will prefer and lean toward to older translations of "inspiration of God". We understand that the Scripture carries with it a noticeable human element as it flows through the writer. We also understand that God so moved upon the writer that the thought and intent was transmitted without error to the text. This inerrant view is held only upon the original received text. It is understood that through copies and translations this perfection is subject to human errors. Yet there are many ways we are able to verify and confirm the accuracy of the Bible we hold in our hands. In God's Providence He has preserved for us these safe guards. It is interesting the translators did not insert the verb "was" given, or "was" profitable, but "is". They seem to understand from the text Paul was saying even the copies and translations "is" given to us in His Providence. The book in Timothy's hands would have been the Septuagint, the Greek translation of the Old Testament. Paul told him it was "theopneutos" and "profitable for doctrine, for reproof, for correction, for instruction in righteousness:" Jesus Himself quoted from this translation of the Scripture affirming it as authoritative. If you hold a Bible in your hands that is in your native language, there are ways to know the accuracy of the text. So you can come to trust the text as inspired of God. How can we build our own confidence as well as respond to those suggestions that it was just written and contrived by men? Here is a suggestion that has helped me, I'm not sure how effective it is in answering the critic, but it built my confidence. It also seems if the critic is truly inquisitive and honest about His insertion it should help him as well. That suggestion is simply to read it and compare it to other writings. As I alluded to before, there is a noticeable human element to the text. One can study it and identify the different styles in the various writers. There is also a noticeable divine element imposed upon the text. After some reading one notices a uniform message and continuity from Genesis to Revelation. These words were pinned by over 40 different authors over thousands of years and yet it flows smooth presenting a wonderful theme of Redemption. 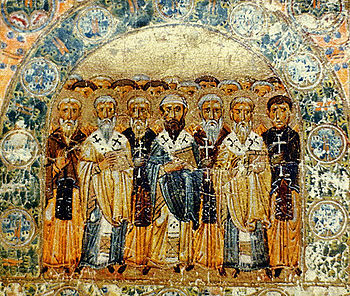 If you then begin to read the writings of the Church Fathers, they were the 2nd century generation of Christians. Some were disciples of the Disciples. Their writings are very helpful and much can be learned by studying them. But you will eventually notice the absence of the Divine element. Their understanding at times seemed to be strained. They have misunderstandings of one another. Their disagreements surface quite often. You are made aware of a difference, it is not Scripture, it is missing this special level of "theopneustos". Seeing this helped me immensely. I began to understand how the Canon we have now took form. I have read some of the Apocrypha writings, they too are interesting, but I find the same missing element, they are not Scripture. Why is the book of Barnabas not in the New Testament? One reading and you understand why. Why is the book of Enoch not included in the Old Testament Canon? One reading and you understand. What about the so called lost books of the Bible? There are no lost books of the Bible! 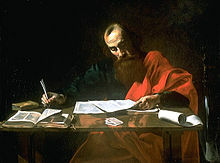 There are lost books, some understand that perhaps Paul wrote a 3rd letter to the Corinthians that has been lost. That very well may be possible. I'm sure Paul and the other New Testament writers as well wrote many things beside those we have in the Bible. Everything Paul wrote was not "theopneustos" but when he was moved upon in that special way, every word he pinned was "theopneustos". God is not in the business of losing or misplacing His Divine revelation. Yes, we have the Word of God, His revelation to us. It may be through a translation to us in our language, but it is "theopneustos" and present with all the power necessary to transform our lives and bring us to regeneration. It is sufficient for doctrine, for reproof, for correction, for instruction in righteousness. 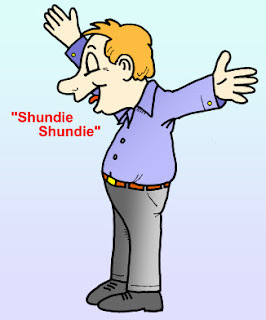 Speaking in tongues, why would I write on this subject when it is so controversial and devisive? Will I not disappoint many of my brothers and sisters who would disagree with me? Doubtless it will at least be thought, "Just another opinion that he should keep to himself, just stirring up strife." Yet, should we not put as much light as possible upon the subject that we all may see more clearly? There are many better qualified expositors than myself that have explored this subject, I highly recommend you study their works. I will add some links as we conclude; they will take you to a few such sites that will guide you in a much deeper study than what we will cover here. My object is hopefully to stir you to explore the subject in more detail. I write feeling the weight of this doctrine resting upon my thoughts. I am compelled to write, not to win an argument or present myself wiser in understanding. I am compelled to write because I know first hand how this doctrine can affect one's life. As one who practiced this belief for over 25 years I have much vested in this doctrine. It is from this experience I understand how serious this teaching is, and the affect it can have. Is it not truth we all seek? Finding truth, is it not greater than our pride and personal beliefs? If truth is revealed, are we not foolish if we close our eyes? When I discover I am wrong, it is of greatest benefit to uncover that jewel and have it enrich my life. I pray you will not draw your sword as to enter battle, but to use it to cut the weeds with me, that more light may be let in. I say these thing because I know we are all fond of our doctrines, we are apt to rise up to defend them. I also understand many have built their ministries upon certain doctrines, to leave them would cost much. Maybe for some, too much. That should bring some light to the seriousness of these issues. I used to speak in tongues, I no longer do. 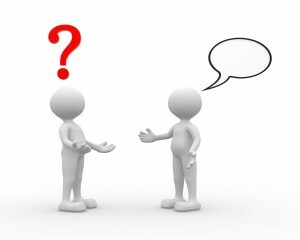 In this post I want to begin with why I did, discuss the affect, and conclude with why I do not. As we travel this course the Scripture will be our guide. 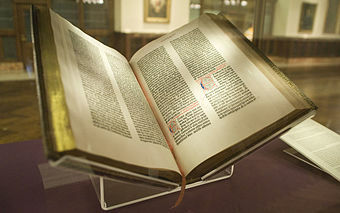 With my greatest effort I will try to speak of the Scripture, speaking no further than the Scripture themselves speak. May God give us understanding and love for one another. I was introduced to the Gospel and saved, as we understanding the term, at the age of 13. Over my teenage years and early 20's I was in and out of the Baptist church I was associated with. An inconsistent walk of finding things that appeared more fun than going to church, only over time to find a conviction of heart so strong as to compel me to return. The continuation of this cycle left me immature in my understanding of the Gospel and without a solid grounding for my faith. In my late 20's I was introduced to the Pentecostal beliefs, which had Word of Faith leaning for those who understand that term. These were wonderful people, who from my perspective had a greater excitement for the Gospel than I had known. They were people I had known most of my life, some had already been very influential in my youth. The preachers I encountered during this time were dynamic and spoke with confidence. I was given a view of Scripture I had not seen before which made me feel I was discovering something new. It was so different I was resistant at first, but was becoming more and more intrigued with this new understanding. Many things were occurring in their services that were strange to me, but in this post we will address only one. 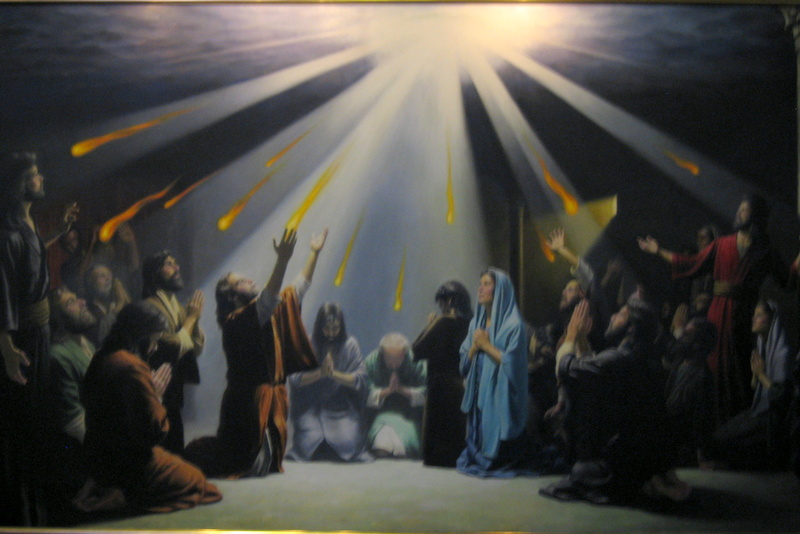 I was introduced to the idea that there was a second work of the Holy Spirit that I yet had not experienced and it was accompanied with speaking in tongues. 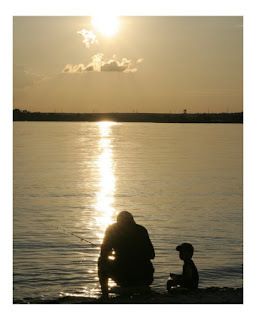 Being confronted with the idea that one should desire all that God has for oneself, I began to pursue this experience. My passion grew, the intensity of my efforts increased. I was able to look in the Bible and see this experience was indeed there, I came to wonder why all did not seek this experience. I was brought to understand they could if they would only seek it. I really tried hard to understand what it was I was suppose to understand to be able to experience this. I went to special meetings and conferences and learned more about what I was to expect, what yielding to the Holy Spirit meant, and how I was to interpret that. I read books on it and experiences of others to increase my understanding. Finally, one day alone at work it happened, I managed to speak in a way that in my sincerity I believed I had spoken in tongues. 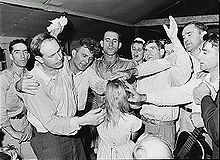 I had been taught one could be baptized in the Holy Ghost and it be some time before they could learn to yield to the Spirit and speak in tongues. This is not agreed upon in all Pentecostal churches, but this is what I was taught. I believed I had experienced this second benefit, I was now trying to learn to yield and speak in tongues. This time I achieved enough success to convince myself I had done just that. I announced I had and was considered now to be Spirit filled. As I progressed and practiced this new language it became easier and more fluent. I even seemed to enjoy the experience as I felt spiritual while doing it and I could just let my mind go. As many years passed and I continued to study the Bible, I noticed inconsistencies concerning this gift in the Scriptures. As I inquired about them from time to time I was given an answer that seemed to fit the understanding I had come to believe. But again and again when I would come to those Scriptures, it just seemed something wasn't fitting. At first I could just push it aside, it was just my lack of understanding. But as time progressed it became more and more important to me to understand it from the Scripture. You see, I understood it in the doctrine we were all taught, but I had not really comprehended what was actually being said in the Scripture. As I mentioned earlier there were many such things that occurred from time to time that brought things into question, the tongues was just one of them. Little by little over the years I began to question what I believed and why. I began to focus my prayers in a desire to know the truth, could it not be known from the Scriptures? I came to the point that I simply wanted to know the truth of the Scripture where ever that would lead me. I will be honest, I struggled for a long time wondering if that was even possible, for it seemed everyone I asked had a different view. It really did seem you could make the Bible say whatever you wanted it to. The result being you could never really know for sure. So if all this seems cloudy to you, I understand. There really are many voices in the world. So now you know why I spoke in tongues. It is hard to know the full effect of this, for over so many years I spent countless hours practicing this gift. If nothing else, one benefit is that it drove me to examine it in the Scripture and discover what it was and why I should do it. The loss would be of course at the least the countless hours spent to no avail and the worst being, that I had unknowing offered to God a pagan practice of worship. If it was not valid, all the time I witnessed that it was, and the times I testified of my experience would be very humbling to admit my foolishness. The misdirecting of my family and friends in correct form of worship if I was wrong would be a serious offense. So much was weighing upon me knowing the truth concerning this gift and others. If you will, follow me as we travel through the Scripture and discover why I do not now speak in tongues. One must first understand, which I did not, that the only guide for Christian Worship and practice is the Scripture. There simply is no other source. No one's experience, no one's vision, no voices heard from heaven, nothing but Scripture. (Gal 1:8 But though we, or an angel from heaven, should preach unto you any gospel other than that which we preached unto you, let him be anathema. NAS) You see, your experience of speaking in tongues may be completely different from mine, but none of our experiences are the measure. Many pagan religions today speak in ecstatic tongues and testify of some kind of experience, many times expressing peace and love. We are all emotional and physiological beings and we have experiences. For Worship and Christian practice it must be the Scripture alone that guides us. The first place tongues shows up in the New testament is Mark 16:17. (Mar 16:17 And these signs shall follow them that believe; In my name shall they cast out devils; they shall speak with new tongues; KJV) Among other things, we are told those that believe will speak with new tongues. We need to come to terms with what this is. How we understand it will determine how we apply it. For now this is all the information we have, but we can learn a few things here. First, tongues among other things will be a sign, second the word translated tongues is glossa. 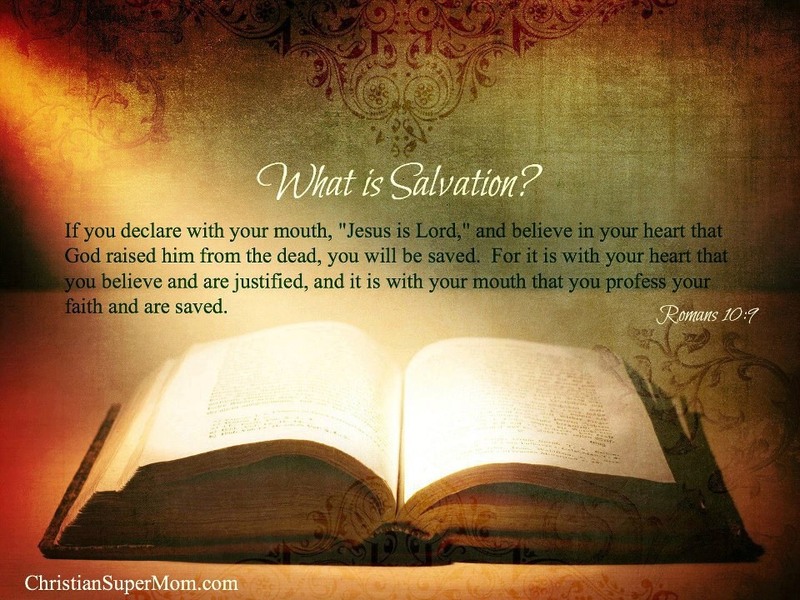 It is used in Scripture to either refer to a language, or the tongue itself. Since we can be assured it's not talking about people receiving new tongues in their mouth and their old ones falling out, we must understand it to mean different languages. But are they human languages or spiritual languages? It would seem from this text human languages, for we have had no discussion of any other kind at this point. One thing I knew from speaking in tongues, I was not speaking in a human language. So this Scripture began to bother me. 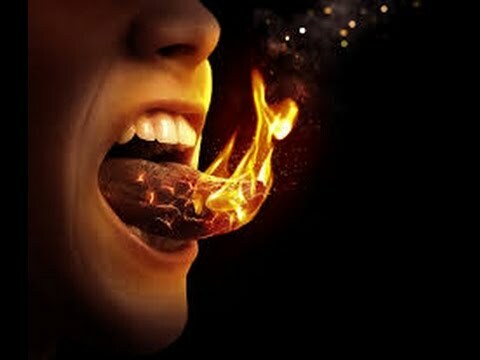 The next place we encounter tongues is Acts 2. (Act 2:4 And they were all filled with the Holy Ghost, and began to speak with other tongues, as the Spirit gave them utterance. . . . Act 2:7 And they were all amazed and marvelled, saying one to another, Behold, are not all these which speak Galilaeans? The word tongues here is again glossa as in Mark 16, in Acts 2:8 the Greek word dialektos is also translated tongues, which is where we get our word dialect. This passage gives us much more information, in fact, it explains in such vivid detail it is unmistakable what is happening. As indicated in Mark 16, as a sign, they were speaking in the other languages and dialects they previously did not know, languages of the people present. With Scripture as my guide this gave me much reason to have concern, I concluded one thing for sure. What ever happened here I had not experienced. At this point I didn't exactly know what I was doing, but I knew it was not Acts chapter 2. Act 10:47 Can any man forbid water, that these should not be baptized, which have received the Holy Ghost as well as we? KJV). Here glossa is again used, plus Peter identifies it as the same experience they had, so again they are speaking in other human languages. Then (Act 19:6 And when Paul had laid his hands upon them, the Holy Ghost came on them; and they spake with tongues, and prophesied. KJV) Again glossa is used, no other interpretation has been introduced so we must conclude it is still human languages. Any other interpretation simply is not allowed by the text. Now we move to the next mention of the gift which is 1 Corinthians 12. (1Co 12:10 The Spirit gives to one person the power to do miracles, to another the ability to prophesy, and to another the ability to judge what is from the Spirit and what is not. The Spirit gives one person the ability to speak in different kinds of languages, and to another the ability to interpret those languages. ERV) Here it is still clear what is being conveyed. The word is still glossa and the text is clear it is human languages. In 1 Corinthians 12:28 and 12:30 we are forced by the text to conclude the same thing. The subject comes up again in Paul's writing in 1 Corinthians 14. Up to this point the Scripture is very clear and comprehensive on the subject. I know what I had been doing is something other than what has been discussed so far. In Chapter 14 things get muddled, statements are made that seem somewhat unclear, even at times appearing to speak of a different kind of experience. It is here we must be ever so careful. For there are men who are excellent scholars and have studied for years on this subject who will find in these verses support for the continuation of this gift and in the form of which I was practicing it. So I speak to you with great humility when I bring myself to bare against the interpretation of men of such profound influence. As we approach this chapter, let me clarify the doctrine of tongues as I previously understood it. There is (according to most Pentecostal circles) two kinds of tongues, those in Acts 2, 1 Corinthians 12 and those in 1 Corinthians 14. In Chapter 14 we are supposed to discover an ecstatic speech, (glossolalia) not glossa. It is a heavenly language that is non human and must be interpreted to be understood. It is also useful as a prayer language as you can pray for things that only the Spirit knows and you do not understand. It is supposed to be useful as it builds you up in the spirit and is encouraged for your private time of devotion. It is this practice I engaged in for more than 25 years. So lets take a look at Chapter 14. (1Co 14:2 I will explain why. Those who have the gift of speaking in a different language are not speaking to people. They are speaking to God. 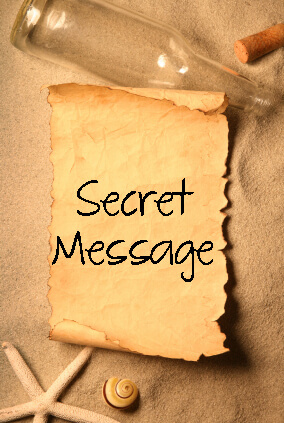 No one understands them—they are speaking secret things through the Spirit. ERV) The Kings James Version uses unknown tongues for language, the word unknown is in italics indicating it is not in the original Greek but was added by translators to help clarify what they thought was the meaning. To be fair, you can see where one could understand this to mean an ecstatic language. For the phase "speaks not to men but unto God", and "no one understands" and "he speaks mysteries or secrets through the Spirit" all give you that impression. So lets say at this point it at least could mean that. That would not be good hermenuetics of Bible interpretation in my view, but we will go with it for now. (1Co 14:4 Those who speak in a different language are helping only themselves. But those who prophesy are helping the whole church. ERV) This is where the idea that praying in an unknown tongue is encouraged for it is so beneficial to one's spiritual growth. But Paul was not encouraging one to edify oneself, he was correcting the practice to edify the Church. In the text above it seems we are moving back to the Acts 2 mode. The plurality of the text seems to move from an ecstatic speech to a variety of identifiable languages that could be understood and interpreted. It becomes a little more difficult to see glossolalia in this verse rather than glossa, especially since glossa is always used in these texts. 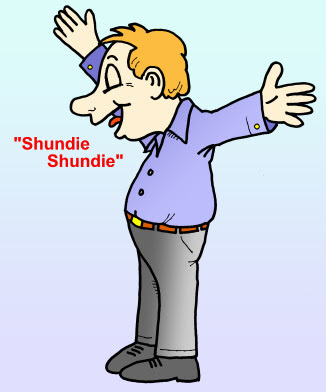 Paul continues his discourse using examples of sounds that have certain meaning. Music played without order is just noise, alarms that are unknown are useless. All through this discourse he is pointing to distinct sounds with meanings. He states His gift of tongues is greater than their's, but he would rather speak 5 words that can be understood than thousands which cannot be understood in the church. (1Co 14:18 I thank God that my gift of speaking in different kinds of languages is greater than any of yours. 1Co 14:19 But in the church meetings I would rather speak five words that I understand than thousands of words in a different language. I would rather speak with my understanding, so that I can teach others. ERV) It is here the idea is conceived for a private prayer language, for if Paul speaks in tongues more than they all, but he does not do it in Church, were is he doing it? In his private time it is concluded. And if we want to be like Paul, we will speak in tongues a lot in our private time. But this is impressed upon the Scripture by conjecture, it is not implied. He could be referring to the use of the gift on his missionary journeys preaching in the languages of the people he encountered. Are you confused yet? If not, you really should be, and that is where most of the Church is today. So what are we to do? Good hermenuetics of Bible interpretation is to understand that the Scripture is literally God breathed. All we need for faith and doctrine are contained in its volumes. In areas were the text seems to be unclear, it is clarified in the other passages that address the same subject more extensively. We should be assured that a doctrine will not be introduced in ambiguity leaving us unsure and in doubt about a matter of practice or application. To find ourselves in such a fashion is a sign we are off center. Do you realize the only books that address this subject are Acts and Corinthians. We have looked at both. There is nowhere else for us to go, this is what we have been given. The text we have looked at leaves us with no misunderstanding in the least of details concerning what it was and how it was implemented. We become confused in Chapter 14 because we try to impress upon the text some understanding and practice that we have not previously been given. In doing that we invoke much confusion into the body of Christ. Do you realize if we place the understanding upon chapter 14 that we clearly and concisely have gathered from the previous text of Scripture, there is no confusion at all. I was taught when someone speaks in a tongue, if I were to interpret it I should just speak out what comes into my mind. But we have no such instruction in Scripture, the Scripture instructs that if there is no interpreter (implying one would know) he is not to speak in a language not known. If there is an interpreter, it is implied he will not speak what comes to his mind, but will indeed understand the words themselves, and thereby be able to accurately convey to the people what has been said. The practice of Speaking in tongues as we know it today in our Pentecostal and Charismatic Churches have no Scriptural support whatsoever. You must first impress upon the Scripture text an interpretation that Scripture does not give, and then completely disregard the instruction given in Chapter 14 concerning the rules of application of the gift if it were in operation. You may be ready now to draw your sword and defend your doctrine, but your blade is dull. You cannot sharply define your doctrine in Scripture without ambiguity. You will impress upon certain verses a interpretation in which it seems it may be leaning, yet you will have no place to go to enforce it. If you insist to fight to the death, I will leave you with your battle. I no longer speak in an unintelligible speech and define it as tongues. I let the Scripture define what the gift of tongues is, and it defines it as language, the dialects of human languages. The Scripture is so amazingly powerful and wise. Even if one defines tongues as a prayer language and ecstatic speech, when practiced as Paul instructed in 1 Corinthians 14, most of our confusion in this area would still be removed. (1Co 14:27 When you meet together, if anyone speaks to the group in a different language, it should be only two or no more than three people who do this. And they should speak one after the other. And someone else should interpret what they say. These instructions are not Paul's suggestions, they are commands of our Lord and must be obeyed to the best of our ability. (1Co 14:37 If you think you are a prophet or that you have a spiritual gift, you should understand that what I am writing to you is the Lord's command. ERV). Yet, I have never seen these commands seriously applied in a single service where I was in attendance and the gift of tongues was supposedly manifested. These things ought not to be. It is our own disobedience to Scripture that is causing the division and confusion within the body. It is the insistence of our own interpretation instead of the sufficiency of Scripture that keeps us at odds. We wonder why there are so many different denominations within the Church, and do not see it is our own sin feeding and sustaining them. I do not mean to be divisive, but the reality is, this is causing confusion and the Scriptures hold the answer. I implore you, walk where the Scripture is clear, avoid the ambiguity of private interpretations. Conclusion: The Scripture defines what tongues are, their purpose, and their proper mode of practice in precise detail. Their function and example are seen in practice by the early church in Scripture. The practice of ecstatic speech and prayer language are defined only by conjecture upon a few Scriptures and their function and example are seen in practice no where in Scripture. You may have had a real experience of some kind, but we are called to obey the Word and sound Doctrine. We cannot and must not preach our experiences.